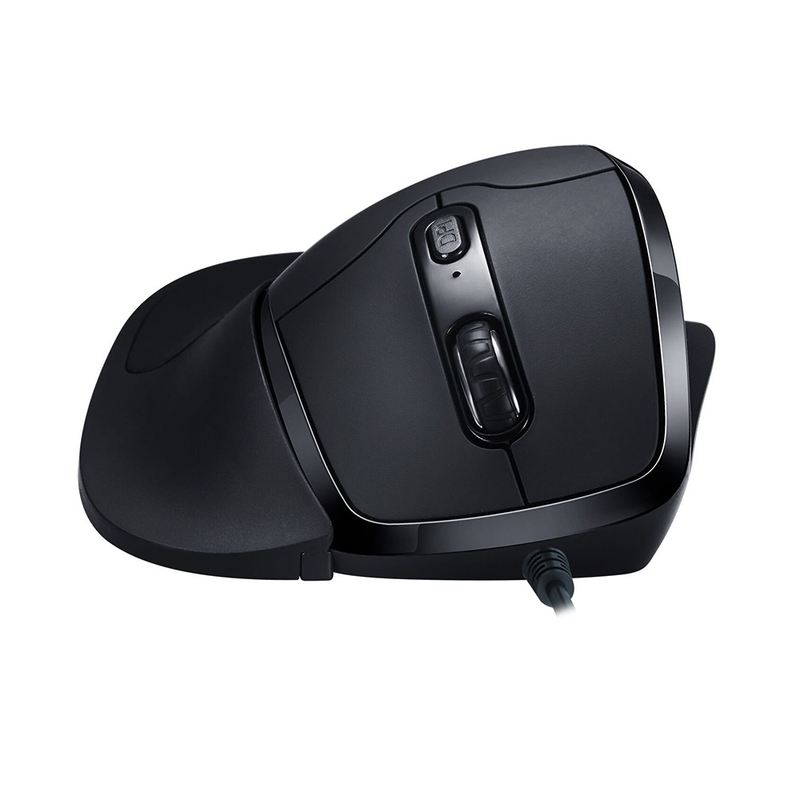 The black Newtral 3 Mouse is a stylish ergonomic mouse, that features an enhanced design. The Newtral 3 offers two grip options, featuring a Precision Grip and Ergo-Grip with a full hand and wrist support covered by a soft gel pad. The black Newtral 3 Mouse is plug-and-play for default functions. Ergonomic Design : This mouse reduces wrist and forearm pronation through the concave depression on the thumb side of the mouse combined with the 33 degree slope off the horizontal from the pointer finger to the pinky finger position. 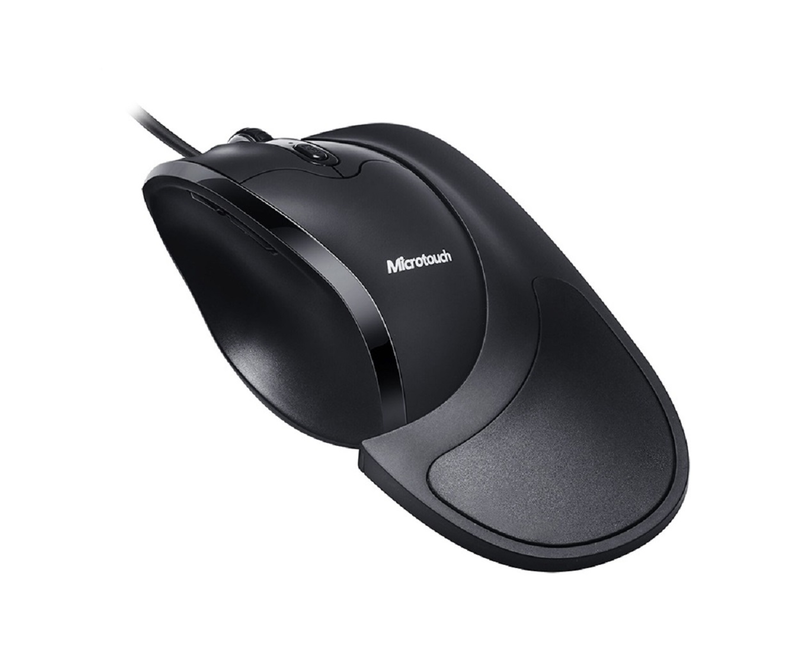 Reduces Grip Requirements: The slanted semi-fist shape design allows gravitational force on the hand to be employed to provide the majority of the control required to precisely move the mouse. Gripping Options: With the Newtral 3 Mouse, you will have two grip options: the Precision Grip and Ergo-Grip (attachment flange). The Ergo-Grip design with detachable palm support keeps the underside of the pinky finger and palm off the surface of the desk to reduce friction. Reduces Pressure off Your Wrist : The soft gel applied to the Ergo-Grip flange support increases the size to bear your hand weight and reduces the pressure off your wrist. Programmable Buttons : With 6 entirely programmable buttons on the mouse, you can customize how you navigate. Driver installation is needed to program the button functions, and is only compatible with Windows systems. Mousing shouldn’t be a pain -- and it doesn’t have to be, with the Newtral 3 Mouse. Find yours today!